In last November we featured Ratan Tata's entry into Chennai and Singapore-based big data analytics startup named Crayon Data. Now this time, its tea business. Recent news is, Teabox, the specialty tea company, has raised an undisclosed round of financing from Ratan Tata. Teabox is an online store that sells tea to customers in nearly 75 countries. Teabox works directly with around 200 plantations in India and Nepal, with its own storage facilities near to plantations. Teabox handles distribution, supply, storage and logistics itself, that’s an arrangement that drastically speeds up the time taken for tea to reach customers. Traditionally the process takes months given the long chain of players involved in picking, sampling selling, stocking etc. Teabox claims its time between order and delivery is a week or less. Teabox was founded in 2012 by Kaushal Dugar, whose family has been in the tea industry for generations. Returning home from a stint with KPMG in Singapore, Dugar spent 18 months at a tea export firm to familiarize himself with the logistics behind the drink he loves, before starting the company. The additional capital will help Teabox to expand to other markets around the world. "Ratan Tata needs no introduction for the kind of strategic direction and commitment he brings to the table. 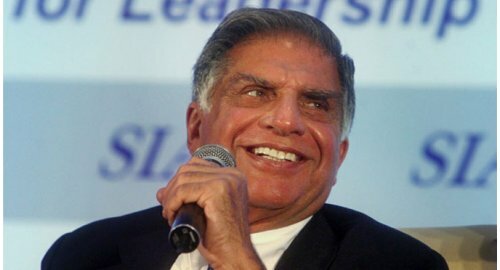 We have grown up admiring and respecting his vision and business acumen on scaling the Tata group to a global level. His direct guidance and experience in the tea industry will surely help us grow Teabox to be the first global premium tea brand from India," said Kaushal Dugar, founder and CEO of Teabox . Sir is there any way for layman to invest in startups.